OCEARCH and its collaborative team of multi-disciplined scientists, which includes researchers from WCS's New York Aquarium, have tagged and released a pair of white sharks off Long Island. 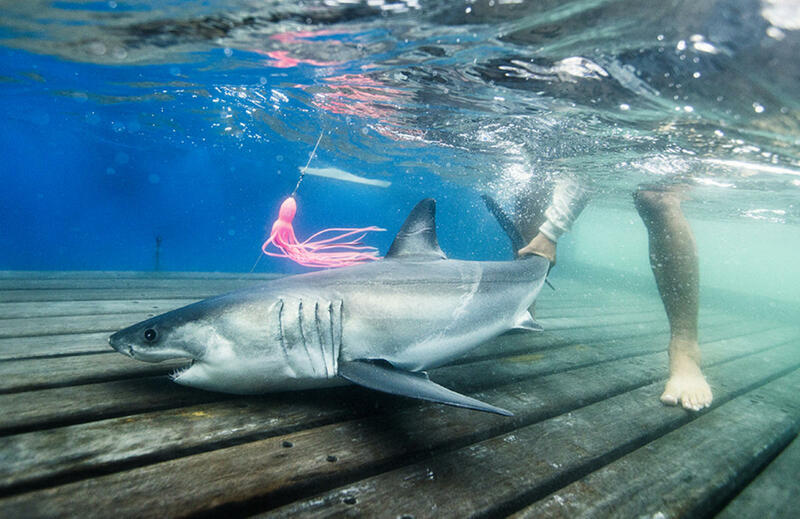 Montauk, a 50-pound, 4-foot female white shark, and Hudson, a 67-pound, 5-foot male white shark, are the first two white sharks tagged by the shark-tagging partnership in New York waters. The tags on these young-of-the-year sharks will allow scientists to track their movements up and down the coast for the next several years. The team also acoustically tagged two dusky sharks and one dogfish; and will be working off Montauk for another six days. "The presence of these apex predators is a good sign of the ecological health of our local ocean," said Dr. Merry Camhi, Director of WCS's New York Seascape Program.